Behind bass, panfish, and catfish, trout fishing are the 4th most popular fishing in North America. Trout always put up a good fight, are abundant from sea to shining sea, and are pretty tasty when anglers decide to keep them. Natives to most cold water tributaries of the Pacific Ocean, the West Coast is one of the best places to find trout of any size, species, or color. There are 3 main species of trout anglers chase, and they all have somewhat similar characteristics. The Rainbow, Brook, and Brown Trout are the most common variations. There is also the wildcard steelhead, which is classified as a rainbow trout that spends time in the ocean or Great Lakes before returning to freshwater or smaller tributaries to spawn. In doing so these rainbows gain a silvery tint to them, hence their name. 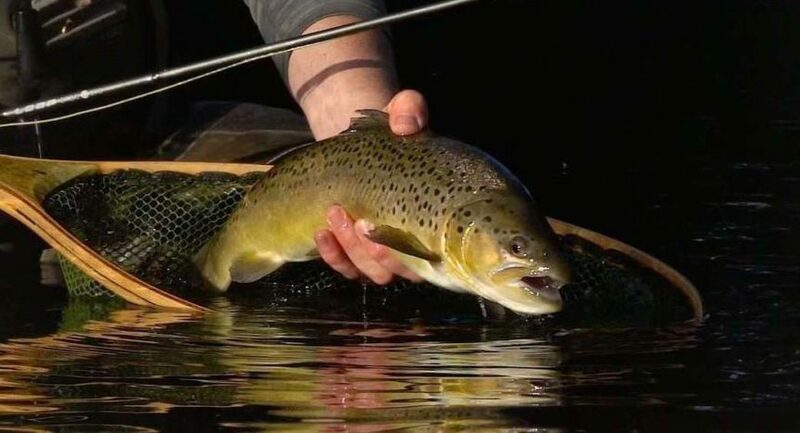 This habit, most commonly seen in salmon, breeds a size and toughness in the normally smaller bows which makes them living legends among trout anglers. Trout are most often found in cold water, and often live in moving water as they run up and down rivers and creeks. They do also live in lakes (hence the term for another species, The Lake Trout), and they are of course among one of the more commonly stocked game species, where they can be dropped in streams, ponds, and anywhere in between. As trout are one of the more accessible food sources for wildlife, you can likely find them in the woods where you’d also find bears, bobcats, and other fishing wildlife. The more remote the river or lake, the more likely you are to find some trout swimming through their waters. This makes trout fishing some of the more active gamefishing any angler can do, where it almost crosses a line into hunting or tracking. Trout are also abundant deep in some of the great lakes, where they can grow to massive size and put up fights usually reserved for the ocean. These trout can be found feeding on smaller fish in the depths of the lake, or more commonly during the salmon spawn, raiding their beds. 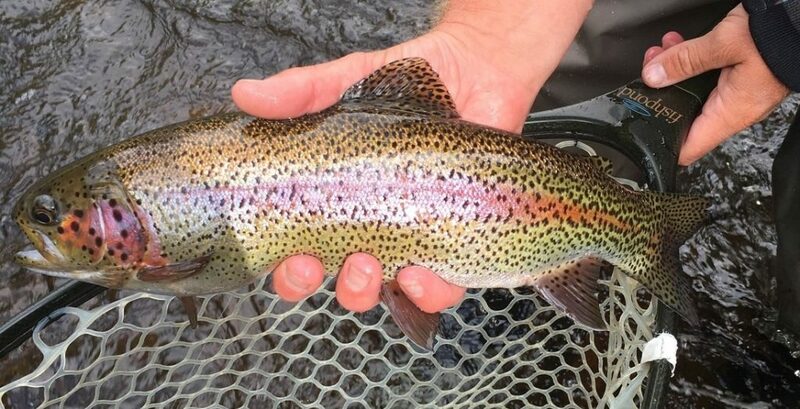 Finding out where trout are stocked is simply and easy, and a week or two after a stock is always a great time to try your hand. Since rainbow trout grow to about 12 inches, you are safe even with ultralight tackle. A standard trout fishing rig would include a spinning reel, 4-8 lb test flurocarbon line and a light or ultralight action rod. There are two big rules to remember when trout fishing: 1. Powerbait will only work on stocked trout (most likely), and 2. Most trout over a foot long cut flies and insects out of their diet. 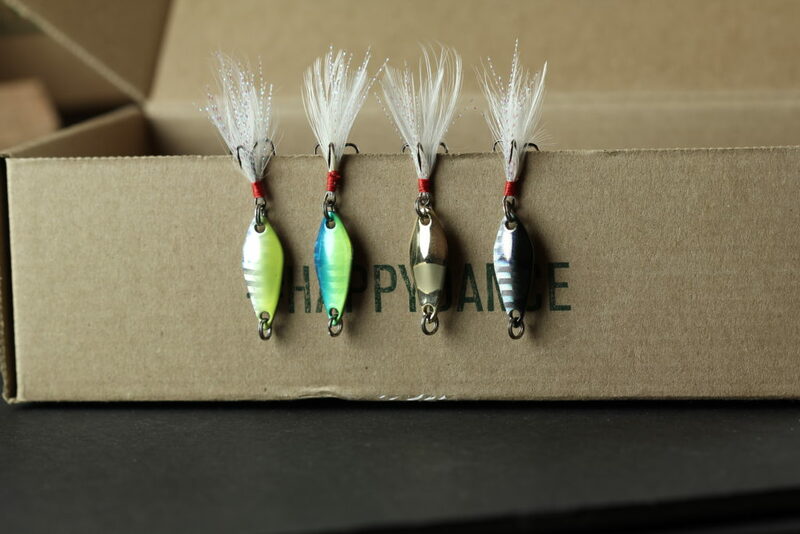 These won’t make or break the bite, but they will affect the type of trout you hook into. 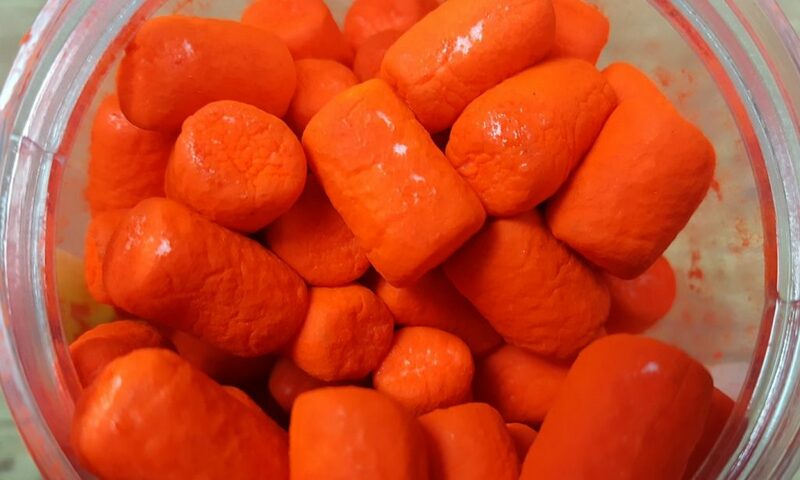 Powerbait (or trout marshmallows, or any dough bait substitute to imitate pellets) is simply not a good choice for natives. Stocked trout grow up in hatcheries and on farms where they are fed pellets. 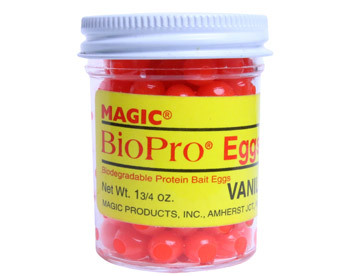 Dough baits like Powerbait are created solely to imitate those pellets in sight, texture, and scent. If you are fishing for natives, they likely have no idea what that glob of dough floating in front of them is. While you may get a bite out of curiosity, it is unlikely that they are conditioned to eat those pellets and will lay off your line. If you’re looking for BIG trout (steelhead or larger adults of the bows, browns, and brooks), avoid fly, mayfly and tiny haired imitators. While they may snack on zooplankton, flies or other tiny insects occasionally, they almost exclusively eat smaller fish, worms, shrimp, and larger insects when they are over 1 foot in length. 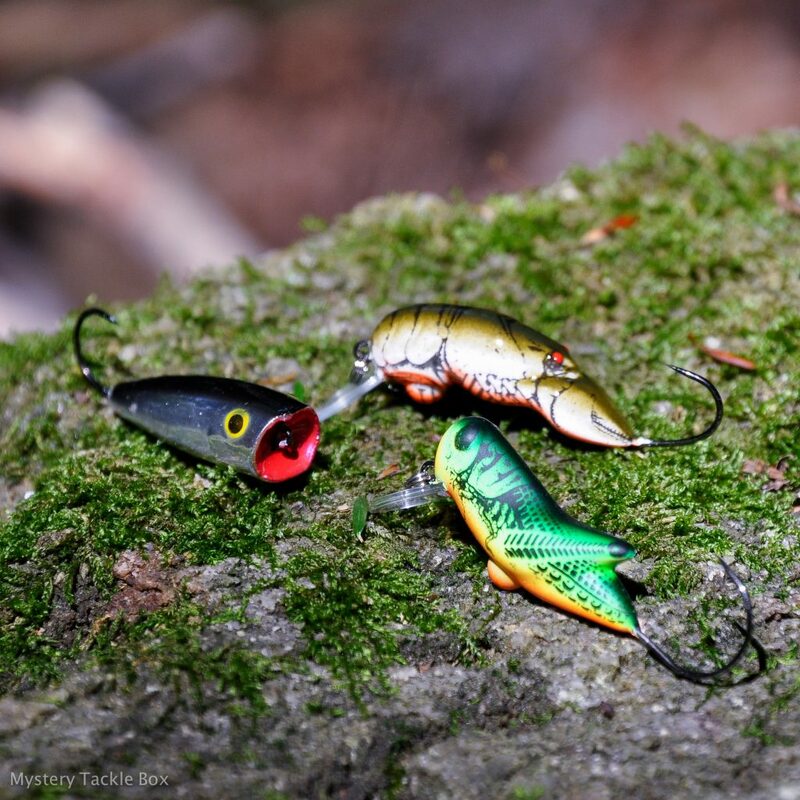 To imitate those common trout meals when trout fishing, here’s what you should throw. Grasshoppers, beetles, crickets and other larger bugs end up falling into the rivers and streams of trout all the time. They’re used to seeing them as easy snacks. Try drowning live grasshoppers or using imitators to float in the current. Tubes imitate zooplankton and other easy snacks all fish snack on. Truth be told they don’t look much like anything swimming in the water. But truth be told they get bit a LOT. So, keep them in the tackle box. Trout love to feast on smaller baitfish, especially bigger trout. 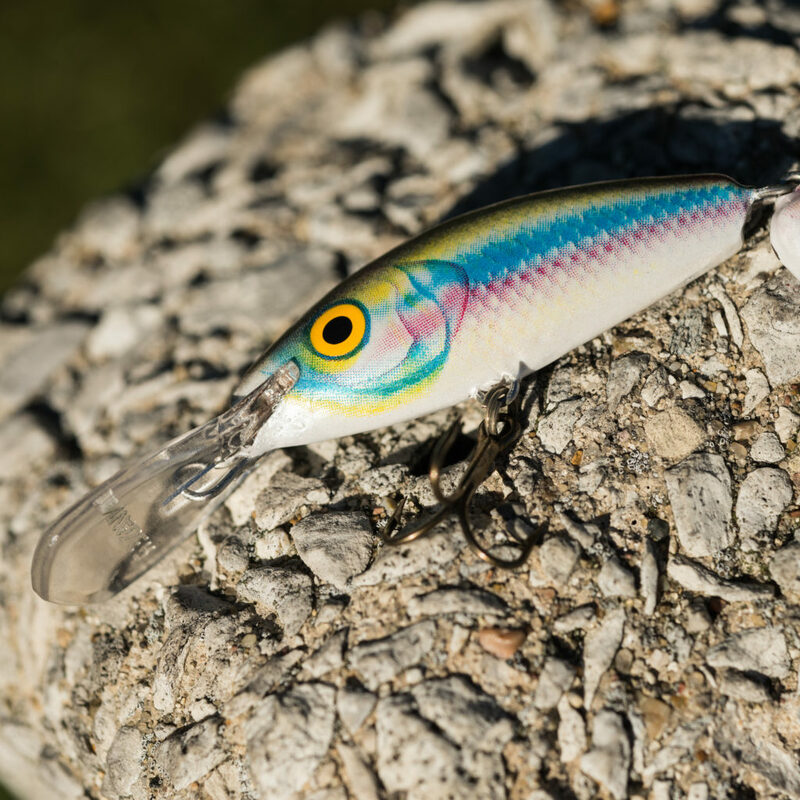 The best way to trigger strikes when they are up feeding on baitfish is a paddletail swimbait that can disrupt the column. Obviously, live worms get bit by just about every fish and this is one of the most simple trout catching techniques. 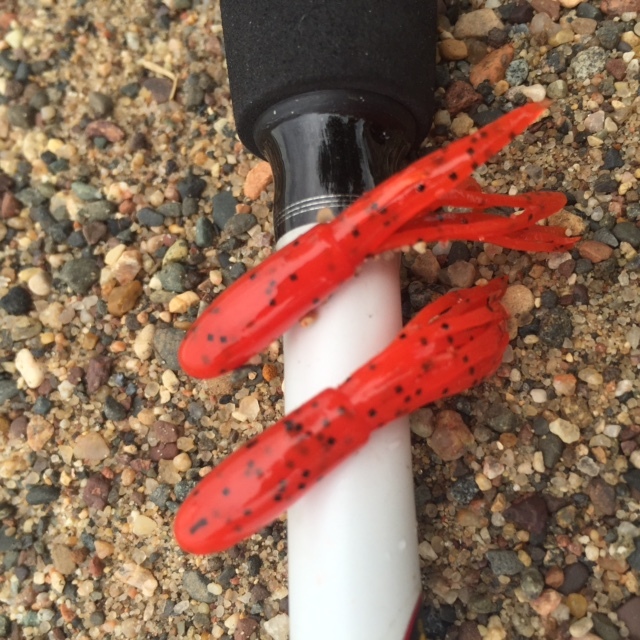 Some downsized soft plastic worms are great choices for trout. 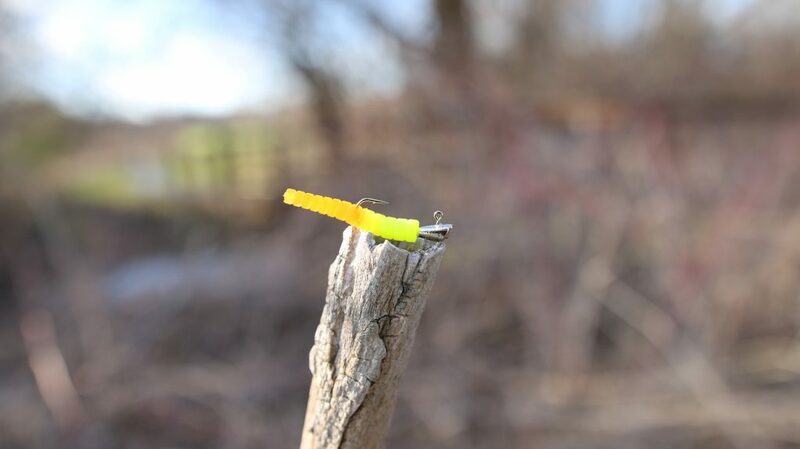 Bright colors that can be detected in moving water are a plus when fishing rivers. 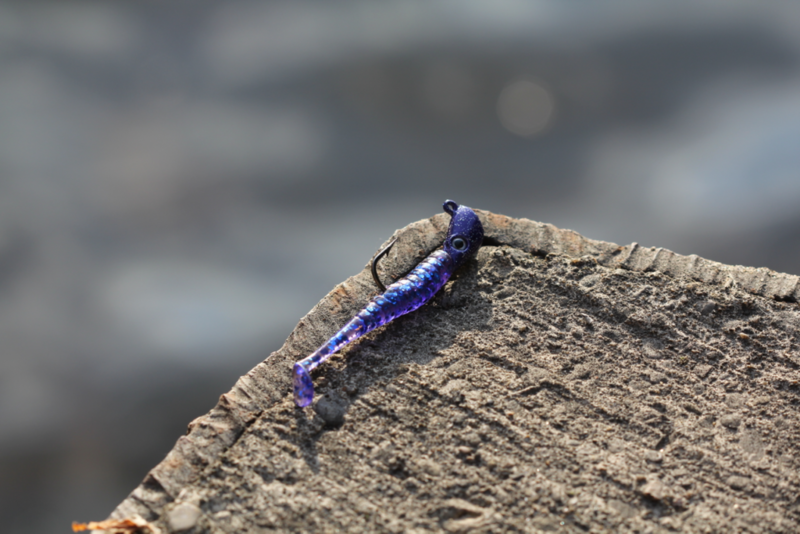 Crankbaits may not be your first choice when fishing for trout, but big trout will hit a crank as large as 1/3 or eve 1/2 of their size. With sharp teeth like trout have, it doesn’t take much to suffice for a snack for them, and they have no problem eating portions of a fish too big to swallow whole. Trout are notorious scavengers, raiding spawning beds of other fish constantly to feed on their eggs. Cut one belly open and you’ll see tons of roe. Thread a few onto a size 6 hook and they will treat it like a buffet. 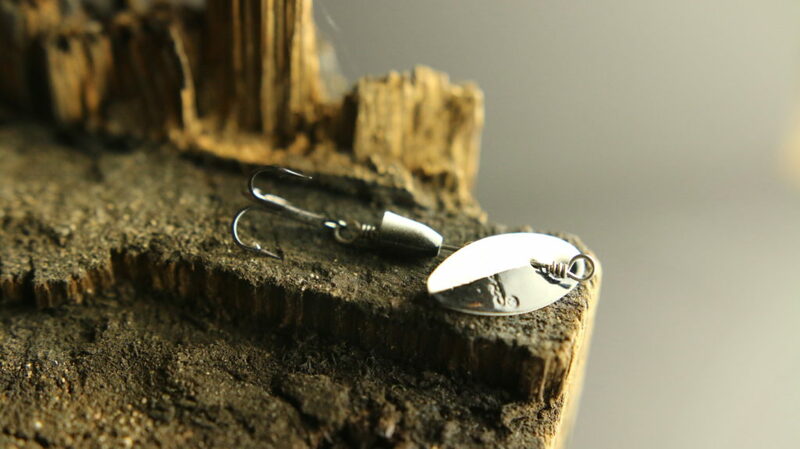 Flashy spoons, especially those tipped with feathers and sometimes even wax worms, are effective for trout all year long. They thrive, however, in colder weather when the bite slows down. Their flashiness can annoy and entice into a bit bite. Spinners and rooster tails are the bread and butter of trout anglers nationwide. Easily changed in and out on a swivel, they get bit anywhere in a lake, but their flapping blades are suited to add flash to a river current. Essentially any dough bait will be called “powerbait” by a trout angler, just like every tissue is called a kleenex and every disc is called a frisbee. 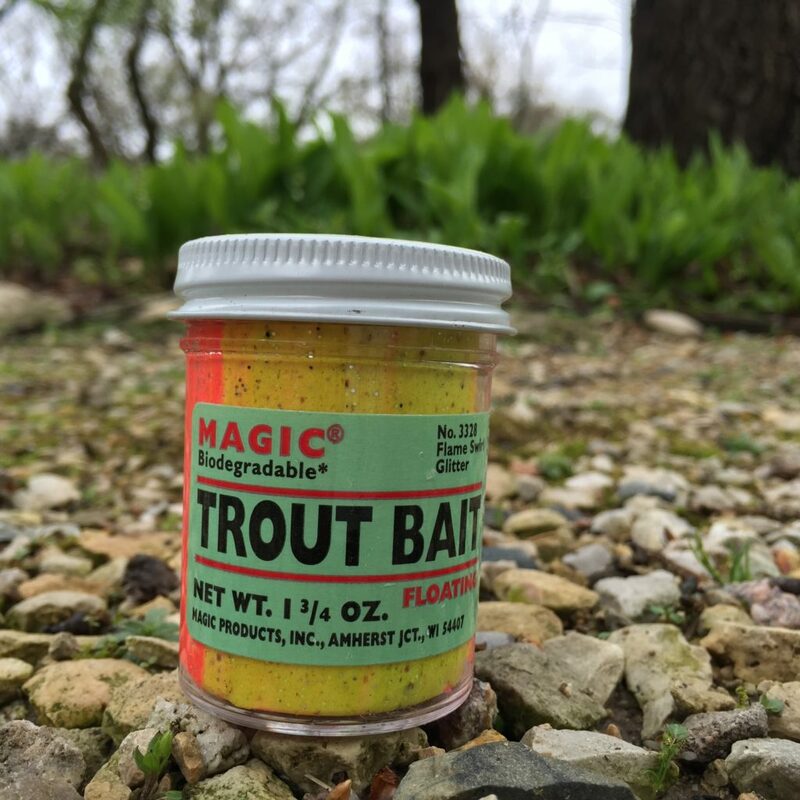 If there are stocked trout anywhere in the vicinity, it’s worth having a few colors of powerbait to ball up onto a hook and give a go. The people that wrote this article have no idea what they are talking about!! e.g. Rainbow trout grow to about 12 inches. FALSE, rainbow trout grow to be very large. For example the longest trout caught in Colorado’s Taylor River was 40 1/4 inches long. Another example,trout over a foot long cut flies and insects out of their diet. FALSE, I personally have caught a 3 lb. brown trout on a midge fly with a size 32 hook, in WV’s Elk River. Fly fishermen catch large trout on tiny flies all the time and have done so since 200 BC. Wild trout feed on macroinvertebrates every day. Those are tiny bugs and larva that live in clean streams. Yes, large trout will eat large bait, but just watch a hatch on a stream take place. You will see the stream alive with trout feeding on very small insects. If you think Trout only grow to 12″, come to the Eastern Sierras. There’s a place called Pleasant Valley Reservoir that’s famous for double digit rainbows.